It goes without saying that the most rate sensitive areas of the economy should feel the burn from higher rates first. It’s useful, therefore, to look at the performance of those sectors to get a read on the impact that changes in the rate environment are having on the real economy. In this way, we can look to the most rate sensitive areas as canaries in the coal mine, so to speak. 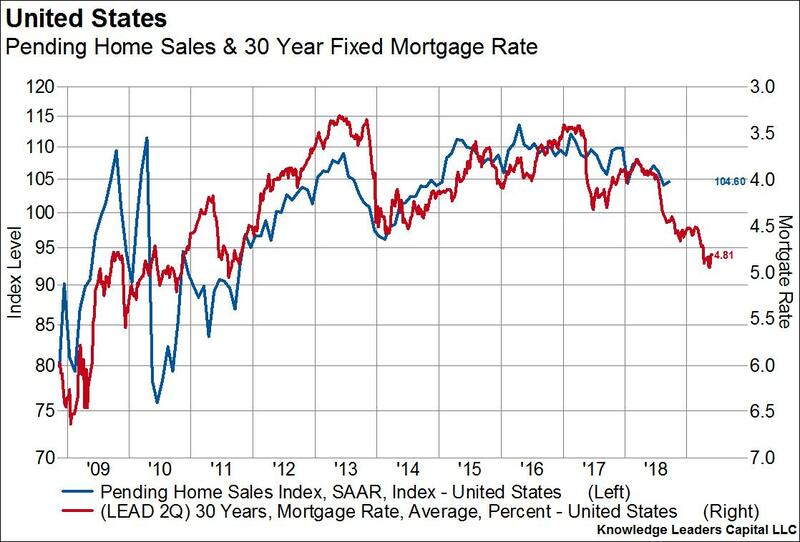 So far, the canaries are giving us strong hints that higher rates, which have already hit the housing and housing and auto sectors, are about to hit the broader corporate sector. This week we got more confirmation that higher rates are biting the housing market. It’s a topic we’ve hit on several times over the last few months (here and here). 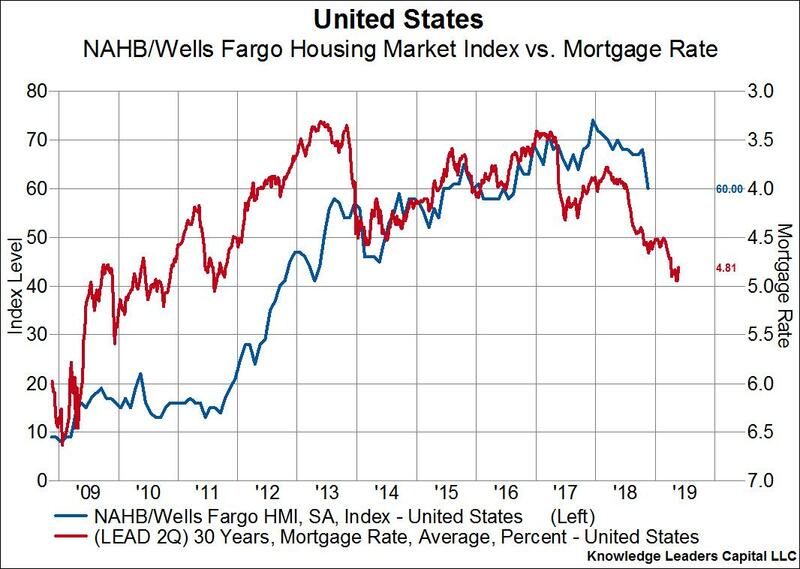 The most recent data series confirming this trend was the NAHB housing market index published on Monday. It saw the largest month-over-month drop since early 2014, right on schedule with the rise in mortgage rates. Pending home sales, which will be released next week, will be the next item to give us more insight as to the relative strength of housing. Sales of autos are starting to slip as well, down 2% YoY even after getting a large boost from hurricane related replacements. Auto sales are subject to slip even more in the months ahead on the back of higher auto loan rates. 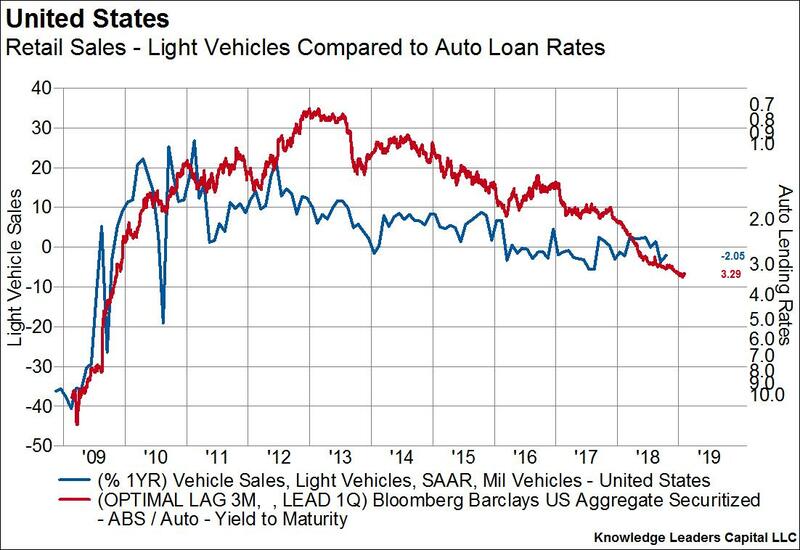 Indeed, auto lending rates have risen by about 65% since last year (from 2%-3.3%) and are about 70% above the average rate that prevailed from 2016-2017. We are still waiting, however, for higher rates to begin to affect the slightly less cyclical manufacturing durable goods orders. Durable goods orders are capex related purchases. Businesses currently have tax incentives to invest in capex, but higher corporate spreads are acting against that tailwind. 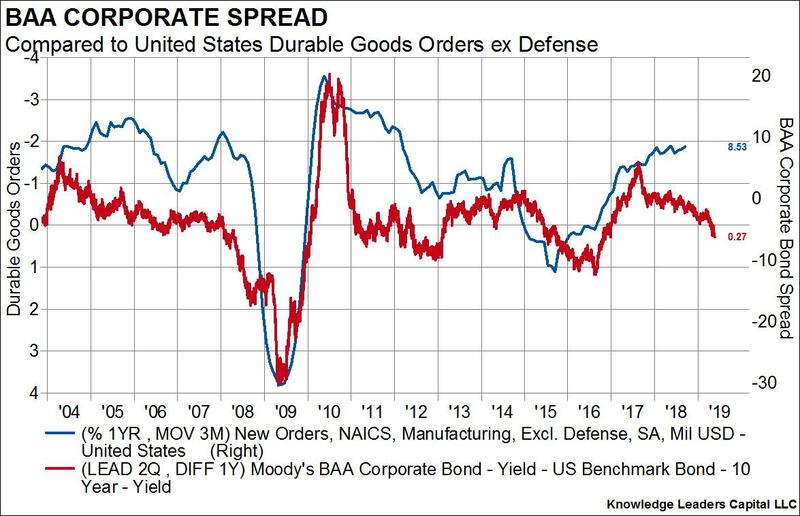 Even so, durable goods orders ex defense are up 8.5% YoY. If this series starts to display weakness in line with the widening of BAA credit spreads, it will be a strong indication that higher rates are starting to affect corporate behavior in a material way a la 2008 and 2015. As such, we will be paying close attention to capex related series like this one in the weeks and months ahead.